Serve this with thin wafer cookies. Mix egg yolks, sugar, milk and salt in saucepan. Cook over medium heat, stirring constantly, just until bubbles appear around edge. Pour into chilled bowl; cover and refrigerate until room temperature 1 to 2 hours. Stir remaining ingredients into milk mixture. Pour into freezer can; put dasher in place. Cover and adjust crank. Place can in freezer tub. Fill freezer tub 1/3 full of ice; add remaining ice alternately with layers of rock salt (6 parts ice to 1 part rock salt). Turn crank until it turns with difficulty. Drain water from freezer tub. Remove lid; remove dasher. Pack mixture down; replace lid. Repack in ice and salt. Let stand several hours to ripen. Connect with us socially below! 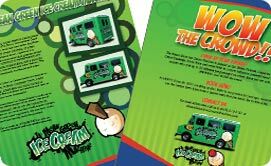 Grab our two page full color fact sheet brochure to find out more about the Mean Green Ice Cream Machine! 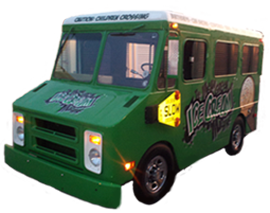 Check out some of the Nashville Ice Cream Truck Rentals videos! At all our events, we bring the music with the 'Machine'! 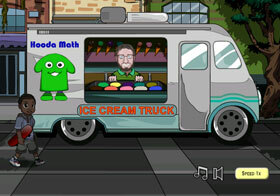 Check out one of our fans own song about the Mean Green Ice Cream Machine. We hired the coolest Ice Cream truck! 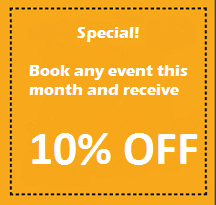 Clean, on-time and professional!